Looking for a spontaneous Granny for British Columbia! Today we received a call for help from Canada. The Granny planned for the coming months had to cancel at short notice due to private reasons and now quick help and spontaneity is needed. 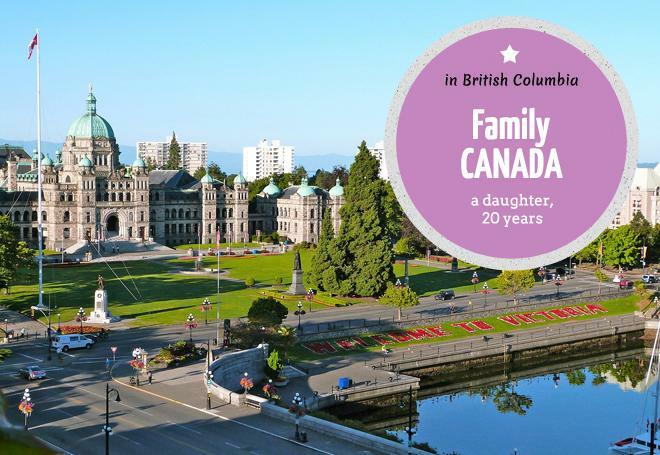 Life between town and wilderness: In the north of British Columbia this international granny-experienced small family (mother and 20year old daughter, user name: Gundula) would like to welcome their next Granny Aupair, who should have a driving licence as soon as possible. The daughter, who has Down Syndrome, goes to college in the next town during the week and would share a small apartment with the Granny Aupair, who should support her with her daily living activities. The 3 to 4 day long weekends are then spent with the mother in very rural surroundings. A car is also made available. Please log in using the login-button above right on our website. Are you interested in one or more of our offers? This is how it works: Please log in via the Login button on our website. The links in the introductions below will then lead you to the respective family’s profile. If you want to get in contact with the family please choose a membership and fill out your profile. There are 3, 6 and 12 month memberships. During a membership you can get in contact with as many families as you like.